Save 70% on Flame Over this week! | Blog | Ghostlight Ltd.
Save 70% on Flame Over this week! Hi everyone. I hope you all saw last week’s news that we’re bringing a JRPG to Nintendo Switch! After that exciting bombshell, we’re feeling pretty hot, (on fire, you might say!) so what better way to cool down than to dash into a burning building? Now, while I don’t recommend doing this in real life, (fire is dangerous!) happily we have the perfect game to fulfil this burning ambition! 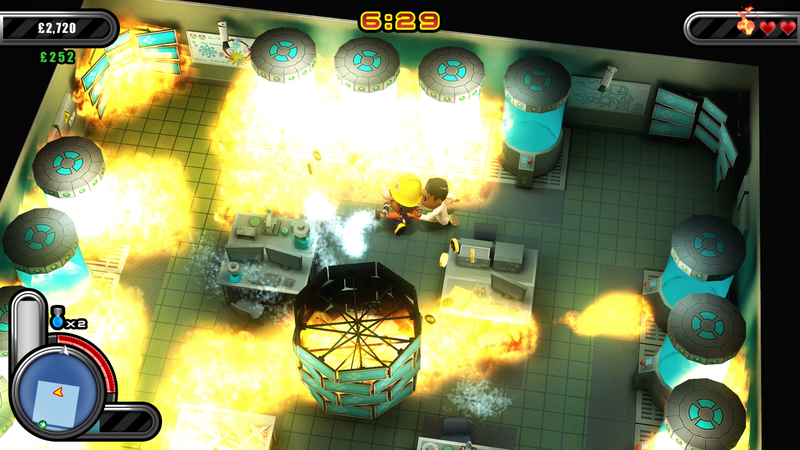 Our awesome ‘squirt-em-up' firefighting roguelite, Flame Over, is discounted by 70% until the 27th August, so be sure to suit up on the Steam Store before venturing forth to rescue all the cats, and the office workers too I guess! Now you’re playing with fire! 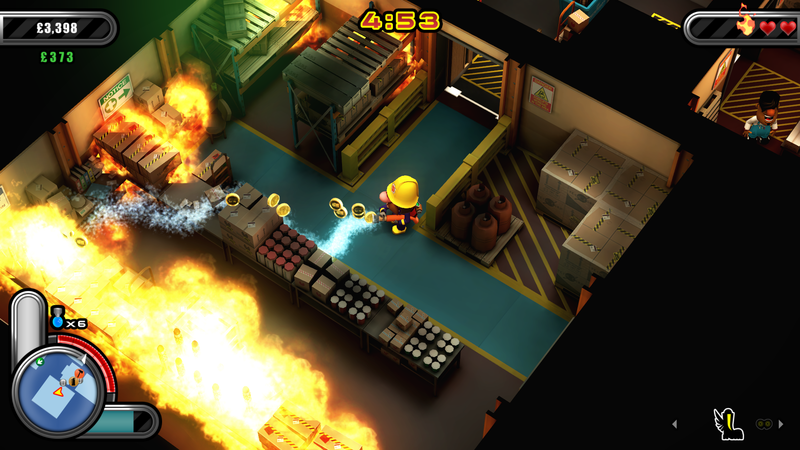 Blending top down ‘squirt ‘em-up’ action with roguelite RPG mechanics, Flame Over features fast-paced fire-fighting thrills, randomly generated levels and 4 deadly game zones. Guide fire-fighting hero, Blaze Carruthers, in a race against time and near-certain death! Squirt, splash and spray your way through all 16 floors of the deadly Infernal Industries building, combating ferocious fires in a red-hot adventure that changes every time. • It Burns! 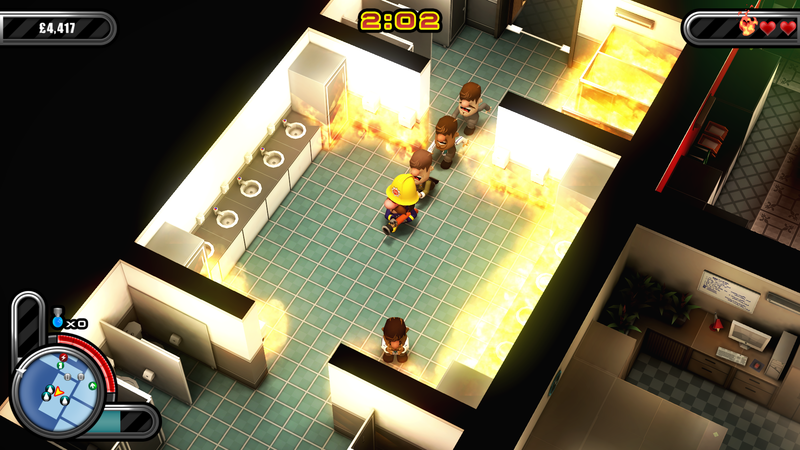 - Fight against a deadly dynamic fire system that spreads realistically. • Shop ‘til you Drop! - Find hidden items, equip powerups and upgrade Blaze to survive. • Be a Hero! - Rescue panicking people and cutesy cats to stay alive. • Never-Ending Emergency! - Thousands of room variations and secrets will keep you fired up… forever!